Answer: Yes, the Sun is a star. It just happens to be the closest star, a mere 93 million miles distant. Astronomers themselves were not totally convinced of this until only a couple hundred years ago, but it now an astronomical fact. Earth orbits around this star, basking in its life-giving warmth and light. 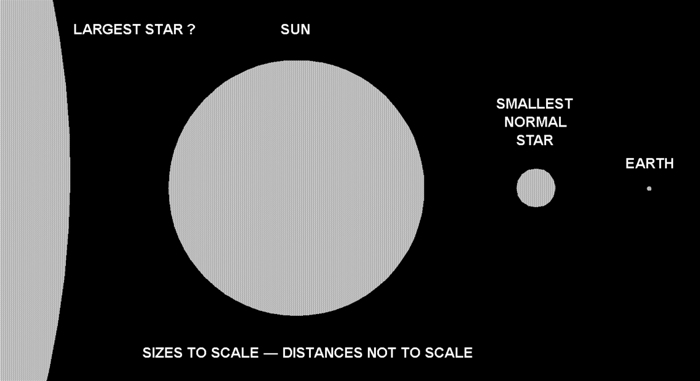 Even so, the Sun is but an average star. We know of stars many times larger and smaller than our own, but even the closest of these is still 250,000 times farther away than the Sun. We see these far off stars as small points of light, but sense little of their heat. They might also harbor planets much like (or much unlike) those around our Sun. All stars are spheres of gas, mostly hydrogen and helium, burning with nuclear fusion reactions deep in their core. Some are hotter than our Sun, some are cooler. The hottest (25,000 °C) appear blue-white in color; the coolest (3,000 °C) appear red. The surface temperature of our Sun is about 6000 °C, so it produces light of a “yellowish-white” color. Curious children often ask “Where does the Sun go at night?” or “Where do the stars go during the day?” These are great questions. I wonder, in a random poll, what percentage of respondents would provide the correct answer?